United Nations (2015) suggests 17 fields of work for achieving of global sustainable development (SDG2030) with the aim of achieving them globally in 2030, from which SDG5 focus on gender equality and women empowerment. 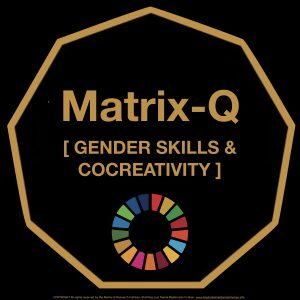 The Matrix-Q Research Institute applies its body of knowledge, tools and skills for the purpose of contributing with SDG5 achievement by providing support on the enhancement of human and projects effectiveness. Our approach is non intrusive, family and parenting oriented, aiming for family-life-work balance by acknowledging culture values and skills, we intent to suggest alternative methodologies, models, tools, skills, holistic, systemic and strategic knowledge and innovative solutions, that will help us achieve globally SDG5 goal and targets.